This release’s Postmortem Telethon is going to be Halloween themed! Expirations are back, new stretch goal items are ready to be achieved, and themed contests are kicking off this month to celebrate Release 46! 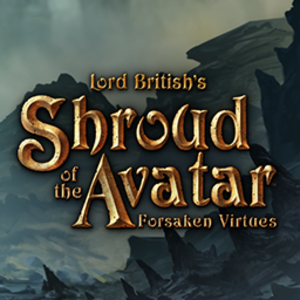 Richard “Lord British” Garriott and other team members will be hanging out on Reddit today! Click here for the AMA link. We are focusing this AMA on questions about the game’s development, though will consider what questions we can take related to our equity crowdfunding campaign currently running through SeedInvest. Please know that we will do our best to get to as many questions as possible, but we may not be able to answer everything in the time allotted. 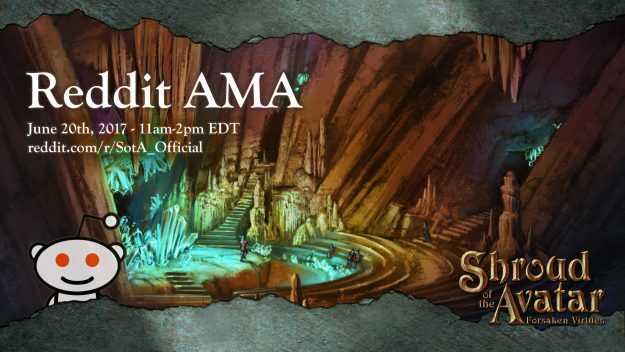 Thanks Shroud of the Avatar redditors for allowing us to promote the AMA! We can’t wait to have a great chat with you. Summer Telethon Success! Thank You Community! $25,000: Balloons: a small cluster of balloons held in your hand. These particular balloons are black with a silver virtue symbol. Click here to see what the complete schedule of the telethon included. Recording of the telethon is currently on Twitch and will be uploaded to YouTube in the next few days. Thanks again Avatars for making this project possible! We have been extremely happy with the community’s reaction to Release 41 so far, and want to hear more of your valuable feedback. 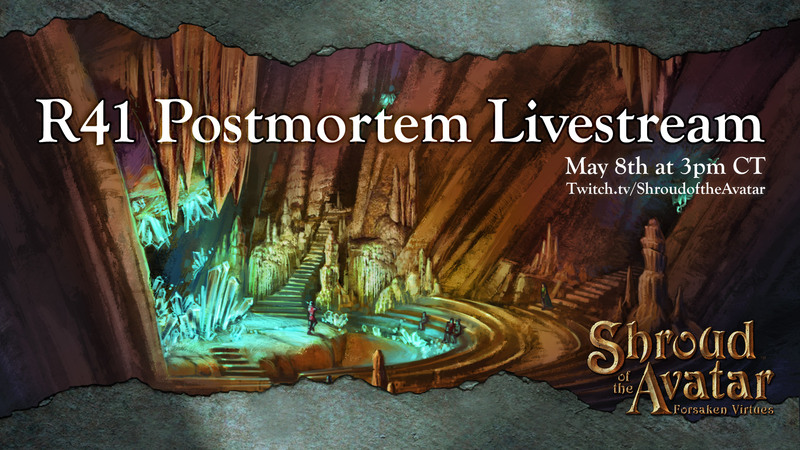 Join us Monday, May 8th at 3:00 PM Central (20:00 UTC) on Twitch for this month’s R41 Postmortem Livestream! Once you get a chance to check out Release 41, post your questions in the comments section below. Only one post submission per player allowed, and keep questions to 3 or less. This will allow us to get to as many questions as possible. As always, we will be giving out rare artifacts of immense power and glory. For a chance to win an artifact, or to speak your voice on the latest game changes, please be in Discord chat during the livestream. There will be multiple chances to win throughout the broadcast. 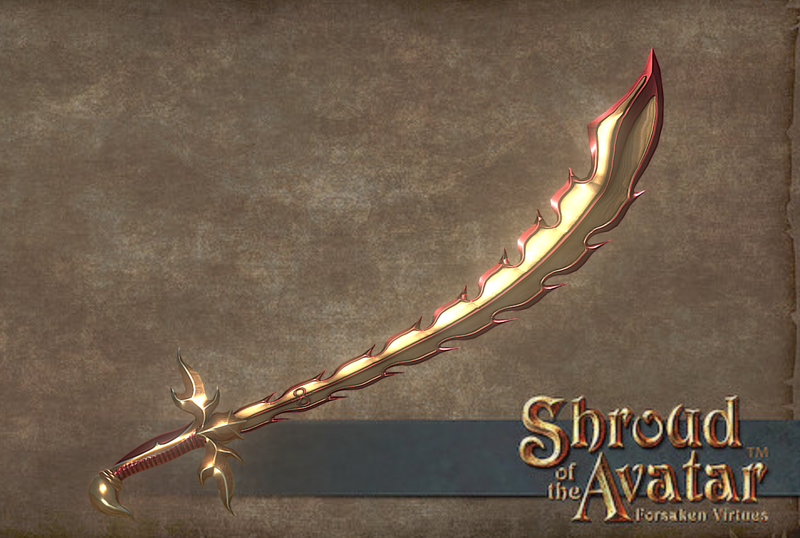 Follow @ShroudofAvatar to keep updated as the postmortem approaches! 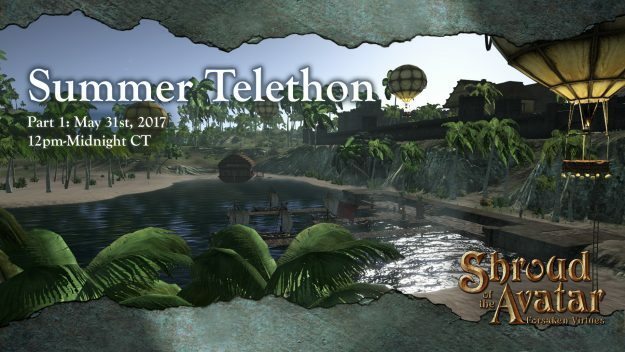 Announcing the Summer Telethon 2017 Part 1! Summer “Hot Air” Expirations Sale Begins! We have been extremely happy with the community’s reaction to Release 40 so far, and want to hear more of your valuable feedback! 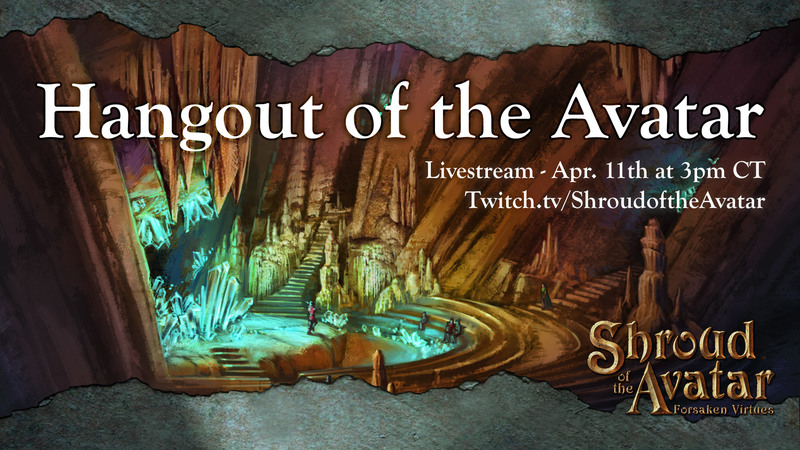 Join us Tuesday, April 11th at 3:00 PM Central (20:00 UTC) on Twitch for our monthly Hangout of the Avatar. We will be answering your questions and looking ahead at what’s on the development schedule in Q2 2017! Once you get a chance to check out Release 40, post your questions in the comments section below. Only one post submission per player allowed, and keep questions to 3 or less. This will allow us to get to as many questions as possible. As always, we will be giving out rare artifacts of immense power and glory. For a chance to win an artifact, or to speak your voice on the latest game changes, be in Discord chat during the livestream. There will be multiple chances to win throughout the broadcast! The Spring Telethon of the Avatar starts at 12pm CT (Noon) today! We will be streaming for 12 hours with deep dives into game systems and answering your questions. There will be lots of flash sales, items will be expiring, and tons of cool prizes will be given out! 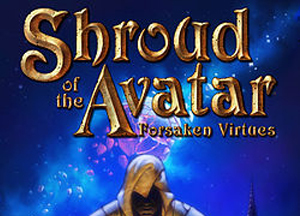 Watch live video from shroudoftheavatar on www.twitch.tvTo win great prizes and participate in asking questions in chat, join the community on Discord chat!